Along with the Cherry Mobile Cosmos Three, the other CM handset that is expected to be unveiled tomorrow is the Flare S5 Lite DTV. 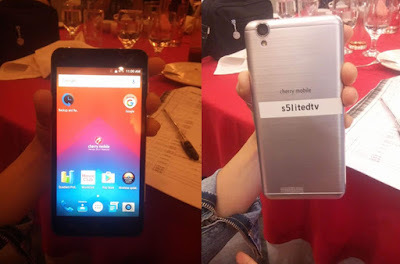 The Cherry Mobile Flare S5 Lite DTV is the other devices that appeared during the Cherry Mobile provincial roadshow, wherein its specs were presented through a slideshow and one of the attendees managed to capture a photo of the live demo unit. 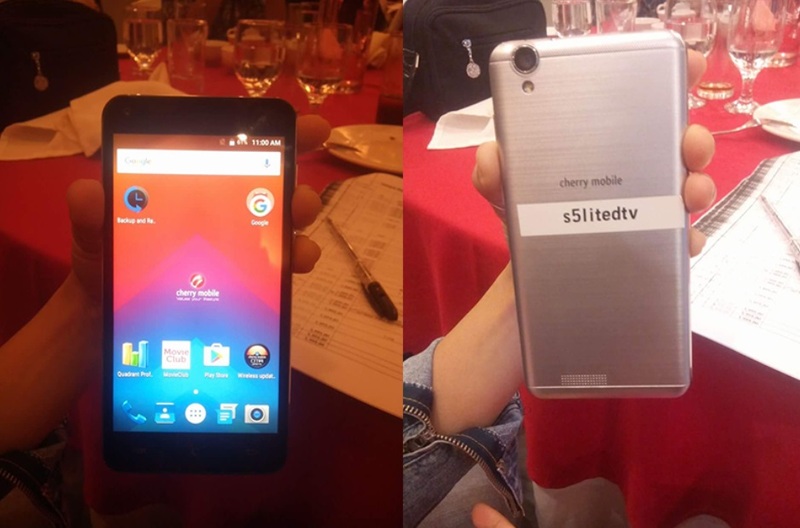 See Also: Cherry Mobile Flare Premium Devices To Launch This October 17? It sports a 5-inch HD display powered by 1.3GHz quad core processor coupled with 1GB of RAM and 8GB of expandable storage. Photography wise, it packs a 13MP main shooter and a 5MP front snapper. Of course, as the name implies, it also has a built-in digital TV tuner. The other known details are dual SIM with 3G capability,WiFi, Bluetooth, GPS and Android Marshmallow. It will retail for Php2,999, which is quite reasonable for what it has to offer.